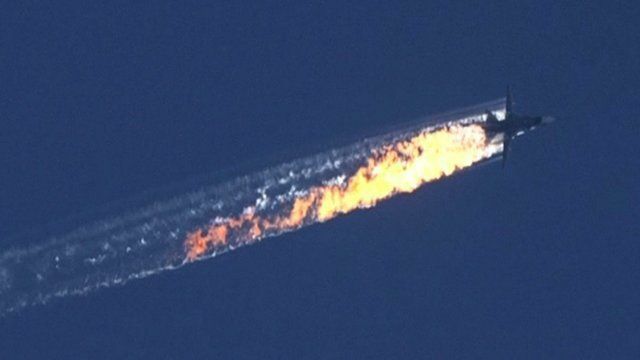 Turkish warplanes have reportedly shot down an unidentified military aircraft on the border with Syria. Turkish military officials said Turkish F-16s shot down the plane after warning its pilots that they were violating Turkish airspace. Video footage has emerged of the plane crashing and of the pilots then parachuting to the ground near the border with Hatay province.